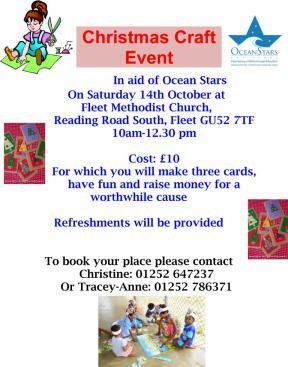 Dear Friends and Supporters of Ocean Stars Trust. Thank you all very much for your loyal and committed support for our work in Sri Lanka, empowering children and changing lives. 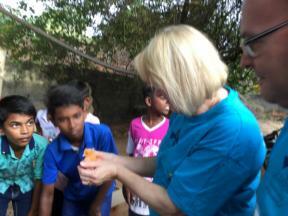 In October I travelled to Sri Lanka with 40 volunteers from the UK. 21 students and 4 teachers from Calthorpe Park school in Fleet visited a tsunami village during their stay. action to make a difference to these families, and revisited the village with the local village committee and police to distribute emergency aid. As we approached one hut, a boy came out and ran towards the students and teachers with a big smile on his face, as he was a student at one of the link schools Calthorpe had worked in. He was so happy that we had made the effort to come and visit his village and to show the local people we cared about them. directed with love and care from dedicated staff. OST will continue to fund several projects at this well-run Home, including a new preschool building . I wish all our friends and supporters a Very Happy Christmas and a Peaceful New Year 2018. Dilanee Bunter, Founder, Ocean Stars Trust. 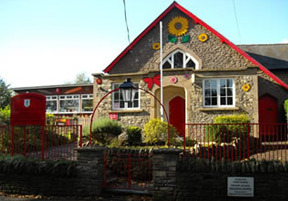 When I became the Headteacher at Heatherside Infant School I was introduced to the work of Ocean Stars by a wonderful member of my teaching staff at that time, Maureen Johnston. 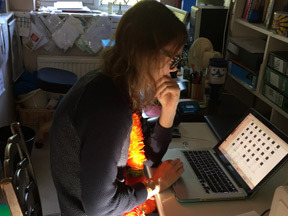 She established the link between our school and the work the charity undertake in Sri Lanka. Every year we fund raise in the autumn term for the children whose lives are touched by Ocean Stars and we learn a little bit more about their work and we see the smiling faces of the children shining out from the pictures from the teams' latest visit. Pictures are a wonderful and very powerful thing; however, I knew that I couldn't truly understand how different life was for these children. I had the growing need to empower our Heatherside children in better understanding how we can make a difference to others but in particular the children of the school in the small and remote Sri Lankan village called Ampilanthurai, who in a small way we support. I knew that at some point I needed to go and visit and see them for myself. 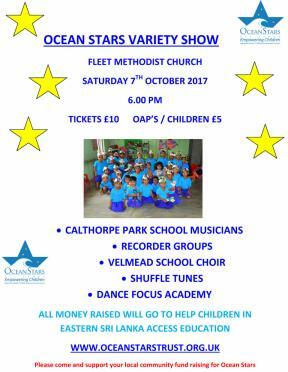 This autumn my husband, Aidan and I were privileged to be part of the Ocean Stars 2017 team. This was for us both a very enlightening, emotionally humbling and spiritual experience. I have come back having experienced first-hand and been touched by the beauty of Sri Lanka, both in its landscape and its people. However I am equally very aware of the great poverty and at the same time inspired by their desire to learn. 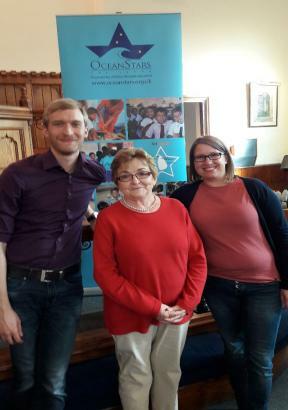 I was equally very impressed with how the work of the Ocean Stars Trust has grown and taken root so that it is really making a difference to the people it really does empower. As I move forward from this visit, it is clear that as a school we could do so much more to support the work of Ocean Stars. It is also clear that part of that work needs to be founded in empowering our Heatherside Community both parents and children to strengthen these links. In this way Ocean Stars will have the means to provide the much needed support locally in Sri Lanka which will in turn empower their community to determine their own futures and break through the local prejudice and poverty that they face. There were so many experiences and moments that will walk with me and assist me as I try to continue to support this work but most of all two things will stand out. The first is my visit to the primary school at Ampilanthurai Village; the second is the formally deserted village along the shore line at Batticaloa that was destroyed by the tsunami. However this year people are being forced to re occupy this village with living conditions that are heart breaking. In these I saw first-hand the need of the children there and what a difference our support could make to the lives of those children! The principal at Ampilanthurai Primary and myself. 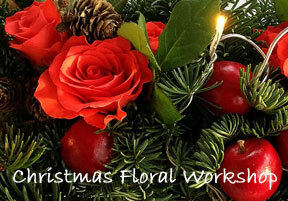 A Christmas flower workshop to make a table decoration. (No experience necessary.) Demonstration by an experienced florist. Please contact 01252 614150 or ruthhughes@btinternet.com for more information. 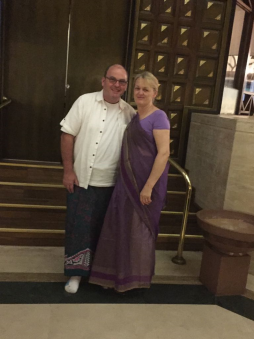 Five members of team two had the chance to experience the beautiful sights of Sri Lanka, the elephant safari and the delicious Sri Lankan food. We had already fallen in love with the country but as soon as we arrived in Trincomalee we had the chance to see another even more inspiring aspect of the Sri Lanka community. We immediately joined the rest of the Ocean Stars team and had the chance to see first-hand how the Ocean Stars funds are used. It was great to see the joy on the faces of the local children who received bikes purchased by Ocean Stars supporters. 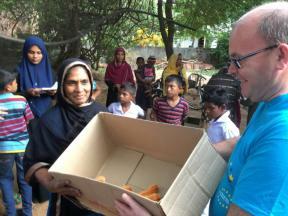 Boxes of very cute and fluffy chickens which will support sustainable livelihoods of families were handed to families in need. However. The most excitement was generated as the boys from the local cricket team all crowded around and peered into a huge bag which contained a full set of cricket equipment. Finally the team walked across to the house of a local villager, where the wide of a local fisherman and her 5 year old son happily received a boat donated by a generous sponsor. 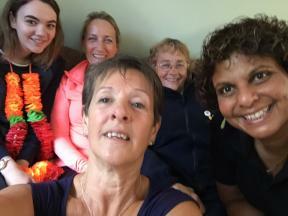 We then came together as a whole team again where we finished off the afternoon with tea and cakes, which took me right back to that first evening where excited but anxious team two participants sat in Dilanee's front room to start the planning of this life changing experience. We arrived at Trinco to find ourselves in the middle of the various gifts donated being given out to individual children and families. Seeing children at the gate so grateful and happy to receive a pair of shoes to wear or a bike to ride to and from school was so humbling. For each of them it meant so much and a number of them struggled to express their feelings. However, their reaction and smiles said it all. Being asked to give 20 chicks each, to the mothers of two families so they could have fresh eggs was both emotional and humbling. We were in the midst of people who had so very little and yet their faces and reaction meant they had received so much. 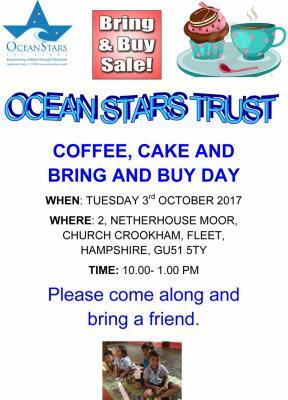 Although we had heard so much about Sri Lanka and Ocean stars whilst preparing to visit, it is only when you experience a day like today that you realise just how special and important the work is that Ocean Stars is doing.